Should you miss our schedule boats ex Merang Jetty (9.30AM) or need to leave Kuala Terengganu before 12pm, alternative transport (public ferry) would be organised and charged accordingly. Kindly check with our reservation department before you book your tickets to Kuala Terengganu. Please ensure that you catch only the morning flights to Kuala Terengganu with the arrival time of no later than 8:15AM. Our recommendation is to catch either the Air Asia or Firefly in the morning. As for MAS, their later arrival time will not allow the customers to catch our boats into Redang. Scheduled Boats Redang Pelangi's boat leaves Merang Jetty at 9:30AM sharp! 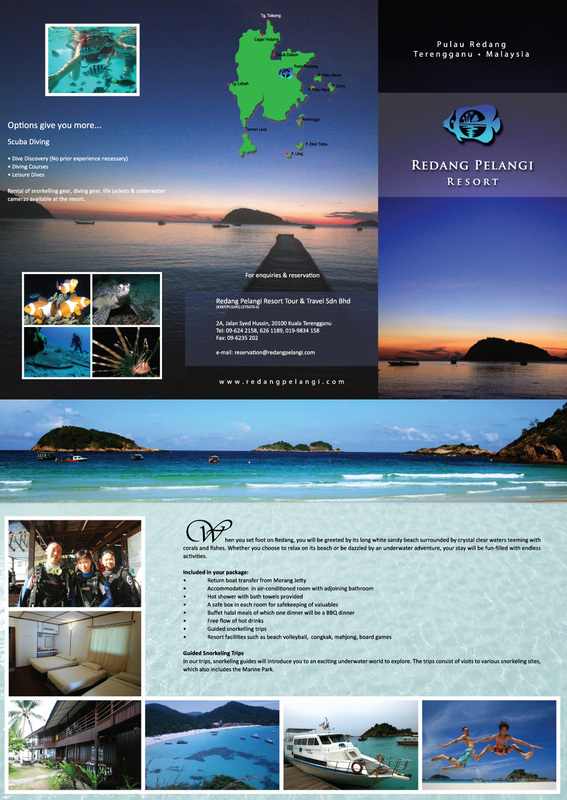 Redang Pelangi's boat leaves Redang Island between 9:00 - 10:00AM. Currently there are newly scheduled flights that fly directly to Puau Redang. Please note that the airport is situated in the centre of the island. You will need land transfer from the Redang Airport to Kampung Jetty followed by a boat transfer to Pasir Panjang, where our resort is situated. Please ensure that you catch the night coach to Kuala Terengganu with the arrival time of no later than 7.00AM on the check-in day. Redang Pelangi's boat leaves Merang Jetty at 9:30AM sharp! Redang Pelangi's boat leaves Redang Island between 9:00 - 10:00AM. Simple hotel. Average price. Great location. At the centre of China Town. Simple hotel. Average price. In KT Town. Near China Town and MBKT Bus Station. 3 Star hotel. Average price. In KT Town. Simple hotel. Average price. In KT Town. Simple hotel. Average price. Near KT Town. New and simple hotel. Average price. Near KT Town. New hotel with spa services. Average price. Near KT Town. Cosy homestay. Clean & cheap. Location requires own car. Simple homestay. Clean & cheap. Location requires own car. 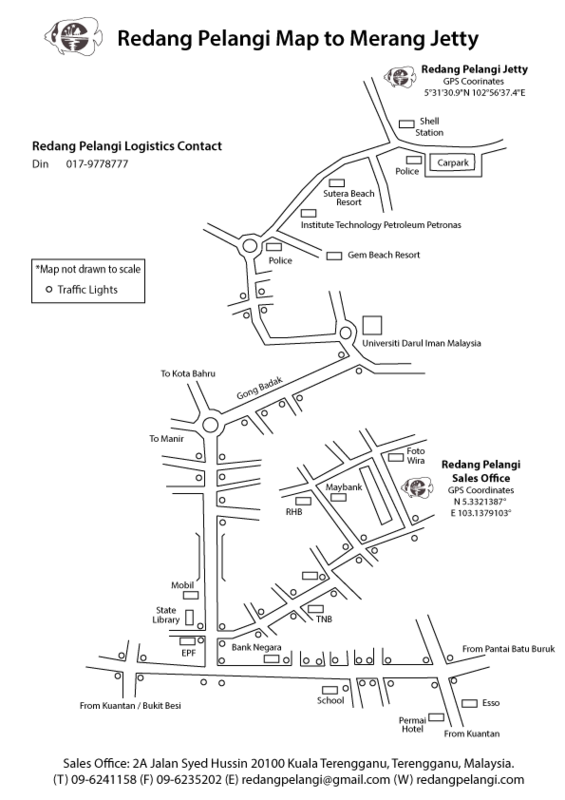 Redang Pelangi has land transfer services for customers from either the KT Airport (Sultan Mahmud Airport) or the KT Bus Station..
*Non in-house guest are charged at RM20/pax/way. Redang Pelangi's boat leaves Redang Island between 8:00 - 10:00AM.